I first published the following post in October 2011, but it continues to be the most popular post I’ve written with 3,940 views since then. Why? Because the often sudden and inexplicable appearance of marbles is apparently something Spirit is pretty good at manifesting for us Earthlings. I regularly receive emails asking if there’s a connection between marbles and Spirit, and if so, what does it mean? What is Spirit trying to communicate? To be honest, I don’t think there’s a single answer, but the phenomenon, when it happens to you is nothing short of miraculous. I never associated marbles with Spirit until my brother Merle (in Spirit since 1971) brought me a “bowl of marbles.” You can read the amazing the story below. I wonder though, if each person’s experience with Spirit-delivered marbles isn’t unique, and is simply our Loved Ones in Spirit saying, “Hey, I’m here. I love you and I’m still with you.” It’s a nice thought, isn’t it? If you have a Spirit-marbles story to share, please do so in the comments section below. 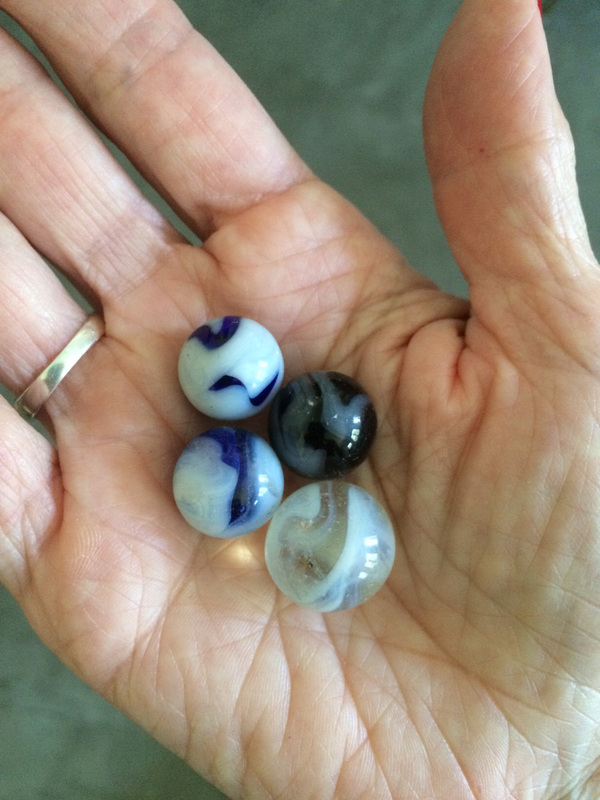 If enough people share their stories of how, when and where they got their marbles, and what each person believes is the meaning…we might just find a thread of connection and understanding! I have so many fascinating examples of the ways in which Spirit communicates with us by manipulating physical objects, and today I’m going to share one of my all-time favorite experiences. On a December night in 2008, I was holding a Spirit Circle at my home, and received a message from Merle, my brother in Spirit, which proved to be quite significant—in physical terms! The Medium bringing the message was Phyllis Brown, a gifted medium who was familiar with my brother’s energy having “brought him through” before. After the evidential validation and I had acknowledged that she did indeed have contact with Merle, she proceeded. “He’s showing me a bowl of marbles, and says you have them,” she said. “Well, I don’t have any physical bowl of marbles, but we did play marbles often as children,” I offered. At this, Phyllis shook her head. “It feels very physical, and I want to hand it to you—this bowl of marbles. Anyway, he’s adding that ‘You’re finally getting your marbles together…’” At this, everyone around the table snickered. I rolled my eyes—it was so Merle to phrase it that way. “Well, that’s good to know!” I laughed. “Good, he’s satisfied that you understand. He’s finished and is stepping back. I leave you with his love and blessings,” she said, in the usual way of closing a message. After circle, I read back over my notes and reflected on the message. I knew that Merle was referring to my recent insights into my own personal physical healing. I was in the process of making a radical shift in my diet (to mostly alkaline foods) in hopes of healing an inflammatory condition I had developed a year prior and was having trouble getting under control. I had just read two very enlightening books: The Cure and The PH Miracle, and believed—now more than ever—that they held the prescription for good health. I was happy about Merle’s apparent validation of my direction, and thanked him again. As it turns out, however… that wasn’t the end of Merle’s validation. About a week after Phyllis brought me the message, I went down to the basement of my 110-year old Victorian home to do laundry. There, in the middle of the laundry room carpet was a blue and white marble. I picked it up and studied it. It was definitely an antique marble. Where had it come from? I looked around but didn’t see any more. I stuck it in my pants pocket as I recalled the message from Merle and interpreted this as an exclamation point to his message. Although Merle had talked about a “bowl of marbles,” one was good enough for me. The following week, again while doing laundry, I looked down and there in the middle of the carpet, in the very same spot, was a blue and white marble! I picked it up and examined it. It looked just like the one from the prior week. I recalled that last week I’d pocketed the marble but couldn’t recall what, if anything, I’d done with it. I had just thrown some jeans in the washer, so my logical mind told me that last week’s marble had probably just fallen out of my jeans moments before. So once again, I put the blue and white marble in my pocket, and continued with my day. A few hours later, while cleaning my bedroom, I spotted a blue and white marble on my dresser. ‘Wait…when did I put that there?’ I thought to myself. I put my hand in my pocket and pulled out the marble I’d found that morning. “Oh my gosh!” I said aloud to an empty room. “They’re not the same one. I now have two blue and white marbles!” I suddenly had goosebumps up and down my arms; I knew Merle was close and enjoying my reaction. Thank you, Merle…I hear ya, but how do you do that? I was so excited by my find. I called my friends and sisters to tell them about the marbles from Merle, and the message that preceded it. But that still wasn’t the end of it. and got the shop-vac going. I had just begun, when I spotted something round and whitish shining through the pile of plaster dust. I picked it up and I dusted it off – well, what do you know! A beautiful white and clear swirled marble! Then, the very next day, again in the basement, my heel spun on something hard when I went to get paint, and it went spinning across the floor–this time a black marble with white swirls. Ha! Merle, you’re certainly having fun with this. I had a distinct feeling he wasn’t going to stop until I had a “bowl of marbles.” Sure enough, later that week, a large jade-colored marble appeared near a pile of floor tiles in my basement workshop room. I flew to Minnesota for Christmas soon after that, and brought the five marbles with me to show family. It felt like a collective Christmas present from Merle, and we all felt blessed by this amazing display of Spirit communication. When I returned to Massachusetts, I found that Merle had continued to be quite busy in my basement. Spiritualist-style mediumship is to check all possible explanations before resorting to the mystical; we need our evidence to be irrefutable! I knew that one of my tenants, Chris, had been re-organizing his stored boxes earlier in the week in that very room, so I thought that perhaps he had found them and placed them on the counter. When I asked Chris and his apartment-mate where the marbles had been found, neither had ever seen them before. And no other human, besides the three of us, had been in my basement in months. Let me note here that in alternative healing circles, green is considered a healing color. Also, our body is often represented by a house in mediumistic and dream symbology, and the “basement of our house” typically represents the lower chakras, or energy centers. It just so happens, that it was in the area of my second chakra that the most healing was needed. You see, Spirit never wastes an opportunity for symbolic connections, because these analogies stay with us longer. So, in the end, five different rooms in my basement offered up one or more marbles. 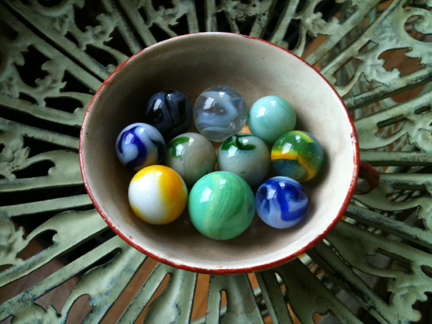 What’s more, I now have a bowl of marbles—ten in all—all shapes, all sizes, all gifts from my brother, Merle, in Spirit. In the photo below, you’ll see how each marble is unique and beautiful! It’s always fascinating to me when the message from Spirit is prophetic and when the validation is physical. Beyond the primary message, which in this case was for me to stay the course on my healing path, it tells us two things: that spirit can see into our futures—at least the most energetically probable path, and that they can manipulate the physical. Where Merle got the marbles from, I’ll never know. They look antique, like they would have belonged to the children who lived in my house a century ago, and maybe they did, but where were they? I have cleaned my basement end to end many times over the ten years I’ve lived here, and never, ever found a marble; nor have I since, I should add. If I hadn’t gotten Merle’s message through Phyllis, I wouldn’t have understood what the marbles were all about–a physical reminder that our Loved Ones are there for us. I would have simply filed it under “mysterious and inexplicable things that happen to me.” But because a medium was able to deliver Merle’s message in words prior to the extraordinary appearance of the marbles, the mysterious became the mystical. Every day, when I walk through my dining room and I see my “bowl of marbles,” I think of Merle’s active participation and loving guidance in my life, and I am profoundly grateful for it. And I am reminded to take good care of my body, i.e. to stick to my alkaline diet! When I shared the validation with Phyllis via email, she wrote back, “I always like feedback and I thank you for taking the time and effort to do so. Spirit lets you know that they are always with you in one way or another. So, whatever we receive [as Mediums], no matter how simple it sounds, we give it out. It may not mean anything to us, but might make all the difference to the one receiving the message. And I’m glad to hear that you’ve got all your marbles! Keep them in a bowl to remind you of Spirit. Renee, I remember that Spirit worked in the same manner before with you. It was with dimes, when you were in Boston with your nephew.” Yes…and that story can be found here. Share your Story: Have you ever experienced the manifestation or teleportation* of physical objects by Spirit? If so, please share your experience using the comment box below. What did it mean to you? Who do you think was behind it, and what was the message? This is the most amazing, uplifting story I’ve ever heard! I had goose bumps running up and down my arms the entire time I was reading it. It reaffirms everything I’ve believed my entire life….that our spirits do live on after our bodies die, and our loved ones are always with us! Merle is quite a special brother. Thank you for sharing Renee. Hi, my name is Tony and I have been working on a house in Florida Melbourne area. I redid the floor in the living room cleaned up the whole area and out of nowhere I found a green and clear Marble and I had experiences with spirit. I’m wondering if this was a message from one of them maybe my late ex mother-in-law. What do you think? Hi Tony! Thank you for sharing your story. It’s so amazing to receive a marble out of nowhere! My most recent post is about that. You’ll find it on my home page. So, Tony — I have a few questions for you. Why do you think it might be your late ex mother-in-law? And what is the experience with Spirit? Was it on the same day as the Marble appearing? Give me some more details! Thanks! Thank you for writing, Gen! I love that you’re finding heart-shaped rocks as well. Such a beautiful momento from Spirit! Yes, I definitely remember this! Merle has always made himself know in very unique and playful ways. Hi. I recently have also been finding marbles. My first two in my bedroom were clear crystal ball like, the second I booted while walking my dog on the common, the third in our alleyway – white blue and green – as i was getting in my husband’s car, and lastly, the forth in our conservatory – jet black. Last Sunday, 29th dec 2015, I had gone on a motor bike ride with my husband and stopped at a country cafe and as i was standing in the queue, there on the floor in front of me by the doors was a a clear marble with a blue feather twist inside. I don’t get it. Hello Joanne! I would say that someone in Spirit is trying to get your attention. See if you can find any link between the various locations and someone you know who passed. Write all these places down on a piece of paper and see if a pattern of associations doesn’t emerge. And once you figure it out, please tell us! Thank you so much for sharing your story. I look forward to the next installation, Joanne. Hi. I find marbles in the sand, in my yard. They are different colors. BUT, they are crackled, just on the inside. They are smooth on the outside. I found one this morning. All I saw was a glint. Dug it out, and surprise! Same thing. Crackled on the inside. I have lived here for 2 years. And have found 8 marbles. Thanks for commenting. How fun to find so many marbles! Do you have any sense of who might be behind the marbles? Are you paying attention to where you’re finding them? Is there a pattern? Consider the colors – is there a connection to needed healing in your body (Chakra colors)? Hi. Greetings from Ireland. Strange unexplained things regularly happen to me and only a few nights ago I was sitting watching tv with my wife and little one gone to bed. Now I was in our sitting room which has an adjoining double door which leads to my kitchen which I left partially open. I heard a shuffling/shifting noise from the kitchen which caught my attention and then a marble type ball came quickly STRAIGHT through the open door into the room that I was sitting in at high speed and just a little over the carpet. It was very colourful and revolving like it was motorized. Now I got a shock to say the least and was startled for a few seconds and I said to myself that I have to go and find this marble…but it had vanished as if it never existed. I checked my wife and little one and they were both fast asleep. What on earth does this mean? Wow! Denis, that is an amazing story — a marble zipping about in the air! So, it shot out (or rolled out) of the kitchen to where you were in the sitting room and when you when to get a closer look, it had just disappeared? Did you find anything amiss in the kitchen? Tell me more about your other “strange things that happen.” Have you ever seen or felt a Spirit in your home? It seems to me that they are trying to get your attention, and doing quite a good job of it! Hi. It’s Shirley again. I was out in the yard again. I looked down, and there was another marble. I really started looking. After about 5 minutes, I found a total of 5 marbles. All crackled on the inside, smooth on the outter side. What’s going on? Stay observant. I still don’t understand all the hows and whys myself, but sometimes we connect the dots, and it’s exciting. I found a green marble yesterday and a blue one today. Just moved to a new place it is on a farm. My children are older I know they aren’t mine. I found the other at other house by door. Not sure what to think of this I do find dimes and pennies often. Hello Tracy! Is someone in Spirit trying to get your attention? Pay attention to the various locations you find the marbles, and see if a pattern of associations doesn’t emerge. A physical house is also representative of one’s own body – consider the metaphysical energy system of the chakras, the colors. Are there messages within? Many years ago after the birth of my first child we were living in a small rental looking for a home for rent. My husbands aunt called to ask us if we would like to rent her rental home because she was evicting the current tenants. My husband did not want to live there because it was the home his uncle had committed suicide in many years before. I discussed with him the opportunity to live in a huge four bedroom home with a large backyard for very cheap rent and we couldn’t pass it up! Finally he agreed and we went to see the house after the tenants moved. Well they all smoked inside and the house was a stinky mess! So I agreed to clean and repaint the house in exchange for a deposit. His aunt agreed and we got to work painting cleaning and repairing the home before we moved in. On the last day of cleaning everyone left the home except his aunt and myself. I was just tidying up the remaining cleaning supplies and putting it all in the garage when she came to me and handed me the new keys for the locks she just changed. She then left and went home. After everyone was gone I went to every room of the house and made sure they were empty and did a little prayer through the house. As I was leaving I grabbed a towel and wiped the kitchen counter from one end to the other and tossed the towel in the garage, looked back at my new clean kitchen, smiled and then left. I went back to the house first thing in the morning and walked in the kitchen to find a black shiny rock sitting on the counter. I know it was not there the night before it was the last place I looked at after I wiped it down. I called my aunt to ask her if she came back last night and she didn’t. No one had been in that house and she and I were the only two people to have keys. I put the rock in my pocket and went on with moving in. When my mother arrived to help I told her what happened and I showed her the rock. She told me that it was not a rock but it was an apache tear. In fact it was the largest apache tear she had ever seen. She took it outside to show me that we could see through it when held up to the sun. It was then that I put it together, the apache tear was a gift from our late uncle who was full American Indian and he was still there. 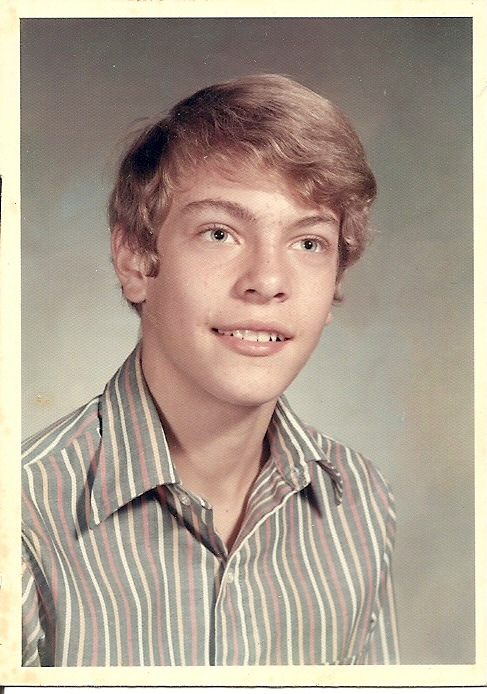 In the couple years that we lived there, my mother, my son, my best friend and I had all seen him on several occasions. When we moved out and I had the opportunity to sit in the empty house alone once again I had a full conversation with him. He some how figured out how to turn the bedroom light on and off. one blink for yes, two for no. I thought maybe I was going nuts but the questions I asked and the answers I got I verified with my aunt. It was him. The apache tear is still with me, right now it sits on my desk as a reminder that I am always protected. What a fascinating story! Thank you so much for taking the time to share it with my readers. Would you be open to me sharing it in a post for more people to see? Today I was at the park walking back home and I dropped my phone on the ground and right there was clear marble. Does a clear marble have any specific meaning? Just wondering. 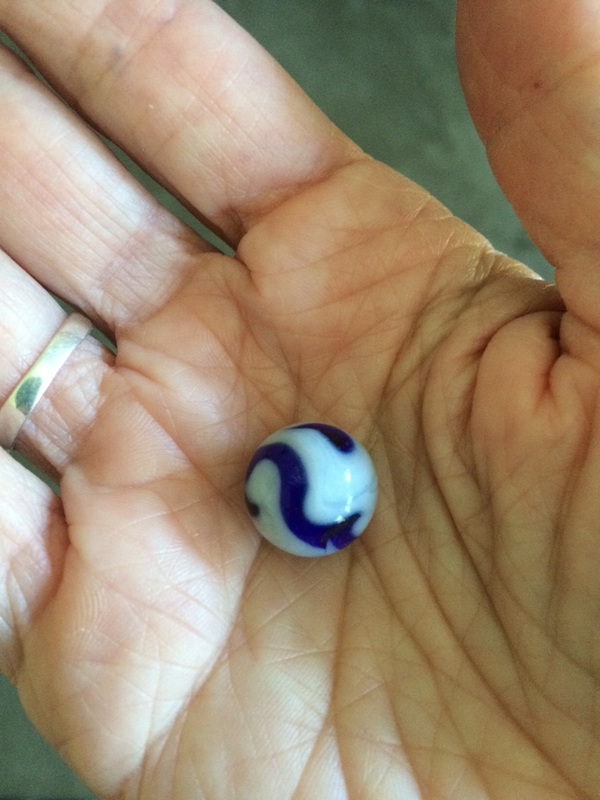 Now that’s interesting…a marble that follows you around. Pay close attention to all the places it shows up, and see if you can draw connections, as you did to the boy who died. It could be that a variety of spirits are working together to simply let you know that they are alive in Spirit. Take it a step further, even. Say to your friend, that you’d like to find the marble in a place that connects to her – you can keep it to yourself, write it on a piece of paper, or say it aloud. Experiment and see what happens – and then report back! Hi Renee, During the past couple weeks, I have been finding marbles under one of our trees in the backyard. The first three times, it was one at a time, then today, two within a few feet of each other. I didn’t know if the dog was digging them up from the dirt, but they’ve all been found within the same couple square yards outside our back door. We are out there a lot because it’s near the grill, so I’m actively looking at this point. It made me worry a little because the dog could accidentally ingest one and choke, but they’re smallish and smooth. I posted this on FB just a little while ago and one of my friends linked me to your site. What I didn’t post publically is that the location is under the bedroom window of my deceased daughter. She died in that room. She leaves signs for me all the time, and I make sure to collect the coins, but this is pretty cool. Thanks for sharing the story of Merle. It warms my heart that they are still busy on the other side, dreaming up ways to connect and affirm their love for us. It never ends. I lost my Dad suddenly last year. He was my best friend, my rock and the person to whom I was closest to in this world. I in turn was those things to him. I have been finding random dimes ever since and being a true believer in Spirit, know it is him just letting me know he is still with me. The places where I find them sometimes just make me giggle. For awhile I was finding nickels, at which time I joked with him that he was only thinking about me half as much! That was short-lived. I have had a few situations since I lost him where I certainly wanted to talk to him and hear his words of wisdom. I have been noticing an awful lot of butterflies around me these days also. Place in which butterflies normally wouldn’t be. They will actually touch me on occasion. I looked up butterflies on the internet and read about their meaning of Spirit messages and rebirth the same way a butterfly goes from caterpillar to pupa to butterfly that flies away after freeing itself from the cocoon. As I am struggling with a major decision in my life right now, which essentially would be a re-birth of sorts, I took that to mean I am on the right path. Two days ago I was moving things into a new storage locker that I am renting from someone in my condo building. How I came to even get a spare locker for one and then this particular locker and the person who owns it is in itself a very strange story (most may not even see how incredible it is) but as I am also a believer in signs and just going with things that happen I knew it was for a reason. Before I started loading all my boxes into the locker, I noticed a clear marble in the middle of the floor. It is pristine, which is amazing considering where it was. I immediately looked to see if there was a meaning for marbles and came across this story. Amazing. Thank you for sharing. I am hoping to have more marbles left for me also. I feel it is my Dad encouraging me to stay on this path of re-birth and know he will still be here for me when I need him. I love your story, Penny. These are perfect examples of how our Loved Ones in Spirit work with us, for desperate are they to let us know they live on, and they love and support us in all our Earthly challenges. Thank you for taking time to tell your story with my readers! My mother was my best friend and for the past 7 years, I have found marbles. My son is moving into my parent’s home. Yesterday he was pulling up the carpet He was down to the carpet pad and it stopped and said “here mom”. It was another marble. In between the carpet and the pad. Another beautiful validation from your mother in Spirit. Thank you for sharing, Kelly! This is the first time I’ve come across other situations like ours. We moved to our home eleven years ago and my eldest and I have found marbles of all kinds surfacing and some buried some just sitting on top the ground in the backyard. We also have found a few old toys including a sawdust filled lion. Now I cannot explain how something like a cloth lion would have survived outside long. As far as I know no one has actually passed in our home, however I have been told many times in my life that I have a safe passage or portal around me for comforting spirits and a healer of two realms. Different people – strangers, told me that so I think that’s interesting not many people just go around freely talking about that stuff unless compelled. We definitely are not alone. My grandma was murdered last year and my toddler has told me she is in the garden several times now. Thank you for commenting here. Sounds like there’s a LOT of loving Spirit activity around you, and I would say that a Spirit left that lion for your child to play with. Could it be your grandmother? Does the timing fit? Also – a lion might represent astrological LEO (her, you, your child), so see if that fits. If so, just take it as evidence. I love that your child can see your grandmother. Many children can see Spirit when young and lose the ability after a time. Ask your child as much as you can and record it in a book or by tape. There should be plenty of evidential information if you ask specific questions. What is grandma doing? Wearing? Saying? Where does she live? Why does she visit? You get the idea. Proof that our Spirits live on, and that their love for us endures. Keep us posted! I’m so curious! For the second time in 3 days I found perfect pristine white marbles close to 2 different wooded areas! I truly believe an angel s by them to me and are trying to convey a message! What could it be??? Does anyone know??? Hi. I am adding my comments as ever since I was a little girl I would find random marbles . I would run inside and tell my mum that the fairies had left me a marble. As I have gone through life, 60 years this year, the gift of marbles has continued . in my case it seems that they are sent to me when I need to be reminded that I am not alone. Instances of this has been when I am unsure of which path to follow, bereavements, confirmation that I am following spirit guidance. I write today because I found a marble today. It made me smile so much and give thanks as I have been questioning my path in so much as whether to continue or retreat and I feel clear to continue. Marbles are magic and spirit . Well said, Janice! “Marbles are magic and spirit.” I too am always uplifted when I get my signs from my loved ones in Spirit. And I agree – they seem to come when we most need them…or when we ask for them! Love and blessing to you, Janice! Earlier today I took a guided meditation tour and the leader had us walk into a small house in the woods. In the house was a roaring fire in the fireplace, and in front of the fireplace was a low table (altar) with a few objects. The objects that materialized for me were all natural (pine cone, acorn, antlers, etc) except for one thing: a bowl full of marbles. Marbles have not been particularly meaningful for me in the past, so I was curious as to why they showed up in my meditation. Then I read the part in your story about how Merle said that your marbles symbolized “gathering insight and making progress towards your goals,” and everything clicked for me. I loved everyone’s marble stories in the comment section… I hope this is the beginning of finding marbles for me too! Hi Bets! Wow. That’s very interesting that a bowl of marbles showed up on your altar. I look at my marbles every single day and am reminded of my connection to Merle and others in Spirit, reminding me of my goals…and I just keep going! Thanks so much for taking the time to share your story. At a rented house we lived in, near Sedona, 8 years ago I kept finding clear, light green marbles on the back deck, just outside the back door and assumed they were rolling out from beneath the washer and dryer located just inside. 13 in all. We moved to another rented house in Cottonwood shortly after and ended up with 31 more marbles of the same color! My partner even heard 2 drop once, during a windy afternoon. So, 44 in all! At the time, my late father had dementia and Patrick suggested he was losing his marbles. Other psychics have suggested different meanings; that I would be working with children (not)… that a child in spirit was saying hi… whatever the reason, they are precious reminders to me of being able to manifest what is thought to be impossible. Caren – WOW! You have to read my more recent blogpost. (https://whispersfromthelight.com/2018/06/03/magic-of-marbles/) It’s VERY similar to your story – and with green marbles. What also gets my attention is the number – 44. Were you aware of the spiritual significance of 4, 44, 444 etc.? The number 4 represents Spirit or Angels in many cultures. I would interpret the marbles as your father’s Loved Ones in Spirit sending the message that they were present and waiting for him, and also to soothe your sorrows. Thank you for sharing, Caren! Hello. I’ve never really been attracted to spiritual things before or even believed they were real until I read this. But, about a week or two ago I was in my backyard and I saw a sparkly glint of something in the soil. Then, i dug it up and found a clear marble. Even since then I have found 4 more marbles in the same place in my backyard. I have had any people in my life that have passed away so I don’t know what it means. Any ideas? Thank you for commenting here. Mysterious… Have you had an increase in synchronicities lately? Or any other sign of Spirit working in your life, on your behalf? Is there anything significant about the location of the marbles? I’ve been called intuitive and able to bring forth unusual sounds which later turned out to be native Indian language. but here in the last 6 months or so, I’ve been having constant dreams of a parallel world in which I live. last night’s dream made me take notice. most of the other “world” dreams have people I don’t know in them but last night had my dead grandparents. I was in a bedroom of what seemed to be their house. a strange lady gave me a box of clothes and misc. items. after looking though it, it looked as if it was a lost ‘n found box: a fat woman’s wallet with old photos, tee shirts that definitely weren’t my grandparents, etc. Then a man walked in the room, over to a dresser…then as he walked out he dropped at least 20 marbles across the carpet. he told me to pick them up. They were mostly clear with color inside, some large and some very small. Then, the dream ended. I’ve had many unusual gifts given before such a dimes. apx 3 yrs ago for apx 2 weeks I kept finding dimes everywhere. even in a forest trail! SO, might my dream marbles be a spiritual awakening ? I haven’t found any physical marbles but it’s definitely something that got my attention in my dream world. Very interesting dreams! Were there some personal secrets of your grandparents that later came to light? The lost and found, the dresser, etc point to personal things hidden or lost. As to the marbles…this is the first time someone has presented this. And I like your interpretation. It could very well signal the heightening of your connection to Spirit and through it, perhaps some discoveries will be made. Keep your eye out for real marbles — and play close attention to where you find them! Hi Mo! Thank you for sharing. Do you have any idea who might be bringing through the marbles? What was it that made you smile? 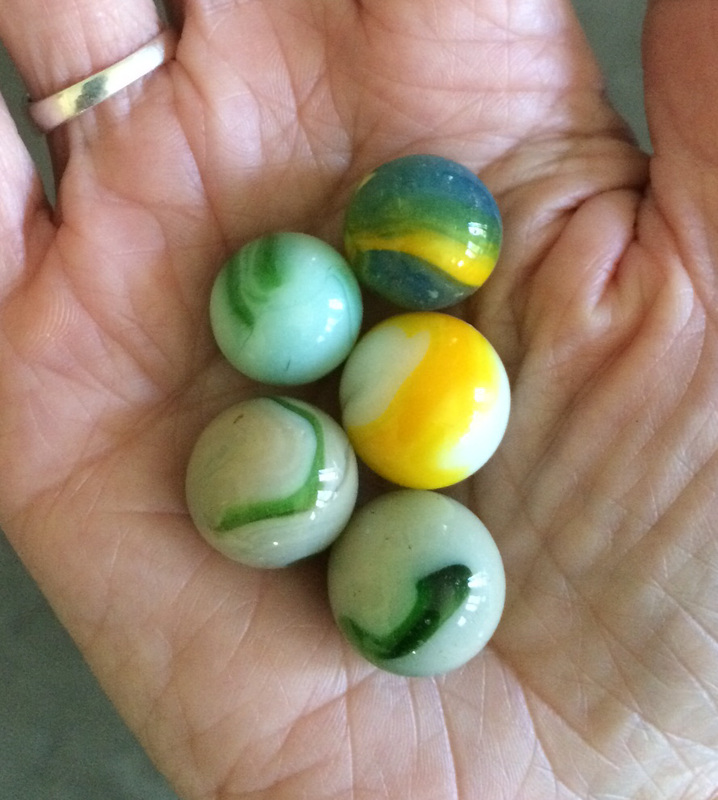 I also for over 30 years find random marbles…a good bowl full myself. Moving into new place two months ago I found a beautiful green striped one in a kitchen drawer. I think it’s from my Mom who died when I was eleven and she was 29. Kimberlee – Sorry! I didn’t see that you had commented. Thank you so much for sharing your story. You Mom was perhaps welcoming you to your new home, letting you know she’s with you. Have you found any more, since living there? My name is Lorena and I also have found marbles around my house. I usually find them either in the back or front yard and I always thought it was amazing. I often find them right in front of me out of nowhere. I’ve been wondering for quite some time what it meant to find marbles. Thank God I found this page and finally got an idea. I’ve found them over the years and so far have gathered 17 of them. I once found half of one but since it was broken I got rid of it. Now I feel I should have kept it. I really have not experienced anything of spiritual nature but I have a feeling that angels have brought them to me. 17 marbles! Wow. Yes – angels, indeed! Thank you for sharing, Lorena! I appreciate your story and everyone’s comments, I never knew this was a thing. Not really sure where to start, I’m still trying to figure out how this was even possible… Yesterday my fiend and I went to play pool together at a pool hall. As I was looking to line up a shot I literally saw a clear marble literally apprear out of nowhere, almost as if someone had slowly rolled it onto the table. The only thing was there was no one by the table but me. The closest person was my friend five feet away leaning against the wall who caught my instant reaction to it and said he thought I must have rolled it onto the table, but I certainly hadnt. The marble came from the other side of the table. It was the short side of the table too, not the long way, so it happened right in front of my eyes. I want to say I almost saw it appear out of no where, but I cant be cetain. We looked at every possible explanation, but no one could have thrown it, we were at a corner table so no one was close to ours. We thought maybe it fell from the top of the light above the table, but we tried replicating that drop and that’s not what happened because every time we did it ther was a loud noise when it hit and I didn’t hear a sound when I saw it appear and it was a very smooth roll almost as if someone was standing next to the table and rolled slowly the marble onto it. That was the only thing that could replicate the way the marble rolled onto the table after trying everything we coukd think of. My friend swears that the only explanation is that I did it and was messing with him, that is what he left thinking and now wont let me bring it up because his “official explanation” has me as being the reason this happened, so its frustrating. And for what it’s worth, no I didn’t have any top pockets or anything that the marble could have rolled out of my clothes somehow. I admit something simple like that is typically the best explanation, but in this case we looked at every logical explanation and it led my friend to conclude it had to be me because the other explanation was not one he’s willing to consider let alone accept. For me I can’t stop thinking how the moment I first saw it. It’s weird to describe something as magical, but magical is really the only way I can describe it. Anyhow I just wanted to share here since most people I’ve told think there must be a simple explanation, and I wish there was, but this is one thing I cannot explain even though I really wish I could. Kevin – wow. Thank you so much for sharing. It’s absolutely magical that you were THERE to see the marble just drop from thin air. As you know, some have heard them them drop and then found them, and many of us simply find them. There’s indeed something magical going on and it’s really quite thrilling. Question for you: did someone special in your life recently pass into Spirit? Or is there someone you think about a lot in Spirit? If so, they may be simply wanting to get your attention, to let you know they’re around you and supporting you. It could even be someone who liked to play pool…? Hi, I’m excited to read your story, and to find that there’s other marblers out there! I’ve been finding marbles my entire life and it didn’t occur to me until I was in my thirties that it was something unusual. I’ve never been able to figure out the rhythm or rhyme to it. I’m not sure if they’re sent to protect me or to warn me, because they always seem to come during troubled times(which is unfortunately often). It had actually been a few months since I found one but just last week I found six. I’ve never been sure what to do with them, of course I’ve kept them, I have jars and jars of them. Also interesting, I don’t always personally find them, there have been a few instances where I have been gifted marbles but the giver did not realize that I “collect” them. In particular one of my clients went on vacation in the desert, she says that for some reason she had remembered something I said and then looked down and saw a marble by her feet in the sand, so she decided to fly it home and give it to me. When I told her what a coincidence it was she explained to me that her mother also used to find marbles. She would hang them with wire from her ceiling. I’ve also had people run up to me in public to hand me the marble that they say had fallen off of me or that I had dropped, but I know that I was “marble free” at the time. I wish I knew where they were coming from, I wish I knew what they meant, and I wish I knew what to do with them. But in the meanwhile, I love them! Thank you so much for sharing your story. My favorite line: “I’ve also had people run up to me in public to hand me the marble that they say had fallen off of me or that I had dropped, but I know that I was “marble free” at the time.” Be sure to read the more recent marbles post — about marbles dropping from thin air. It’s similar to yours – marbles observed dropping from thin air. Extraordinary!